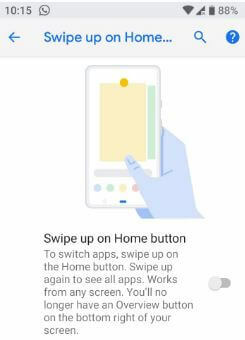 Android P Beta include new feature of Gesture navigation controls for Google Pixel, Pixel 2 XL and other supported non-Pixel devices. To use Gesture navigation controls in your device, download and install android P Beta on Pixel & other devices. By default disable this android P gesture. You can enable Gesture navigation controls in android P 9.0 under system settings. When you enable android P’s gesture navigation, you can’t see overview button on the bottom right side of screen in your devices. Also quickly open to most recent apps using this new gesture in android Pie 9.0. 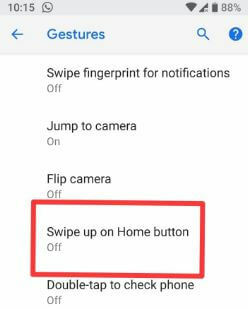 Follow below given step by step process to enable Gesture navigation controls in android P 9.0. 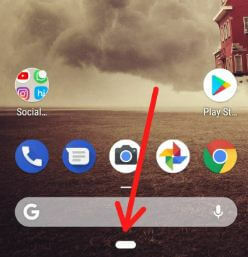 Before enable this navigation gesture in android P 9.0, you can see home and recent app buttons in your devices. 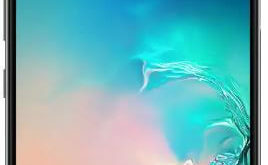 Let see how to enable and use Gesture navigation controls in android Pie devices. Here you can see 7 Gestures including Swipe fingerprint for notifications, Swipe up on home button, prevent ringing and more. By default turn off this android Pie gesture for navigation controls. Now you can see home and recent app button hidden and only see pill in below Google search bar in your device. 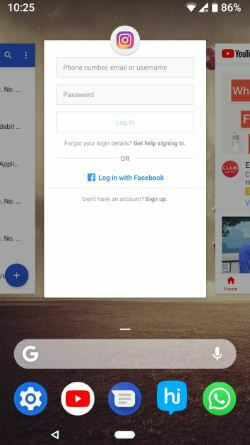 Swipe up on the home button to switch apps and swipe up again to see android Pie app drawer in your Pixel and other devices. 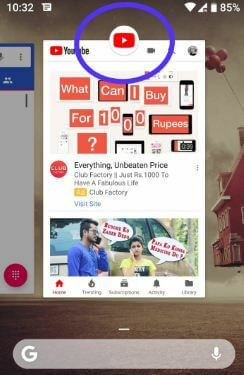 Now use two apps at same time in android Pie 9.0 devices. You can enjoy watching video and chat with your friends on WhatsApp or other messenger apps at same time. And that’s all. We hope this makes it clear how to enable Gesture navigation controls in android P Beta. If you have any kind of trouble, tell us in below comment box. Don’t forget to share with others if you found it helpful.